With a variety of large period properties and modern developments, Acton attracts a multicultural population of young professionals and is favoured by artists and media enthusiasts. The area has received numerous mentions in popular culture, has regularly been used for filming and is the birthplace of all members of The Who. 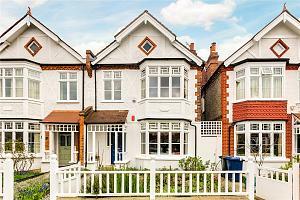 Acton boasts a busy, buzzing atmosphere, with areas such as Poets Corner particularly desirable. There are a good number of bars and pubs in Acton, due to the high population of young professionals. Notable local pubs include The Windmill and The Duke of York, which sometimes hosts live music. Acton Park has a bowling green, games area, pond, play centre, children’s playground, climbing wall and café as well as hosting a variety of community and art projects for young locals. Shepherds Bush Cricket Club is also in the area and the large open green space of Gunnersbury Park is nearby. Acton High Street has a convenient selection of shops and pubs as well as a small mall and supermarket. There is a great choice of restaurants in Acton, with good quality food from all around the world on offer. As well as European gastropubs and Italian pizzerias there are fantastic Indian and Thai restaurants such as Anokha and Siam Royal Orchid. The Japanese School is in Acton, as well as Barbara Speak Stage School and King Fahad Academy, an independent Muslim school. There are a number of good state schools, including Acton High School, Twyford Church of England High School and The Ellen Wilkinson School for Girls. Hammersmith has good links to central London and provides an easy route to Heathrow on the tube. The A40 dual carriageway also passes through North Acton. There are two nearby mainline stations: Acton Main Line and Ealing Broadway, with overground tube trains running from South Acton and Acton Central. Great transportation links to central London and Heathrow. If you are looking for a property in Acton, please get in touch by calling us or pop into our branch.